Just an update that might be of interest. I recently transported my new 14 week old puppy from London to Cannes with easyPet, the new pet transport company. They were excellent!!! 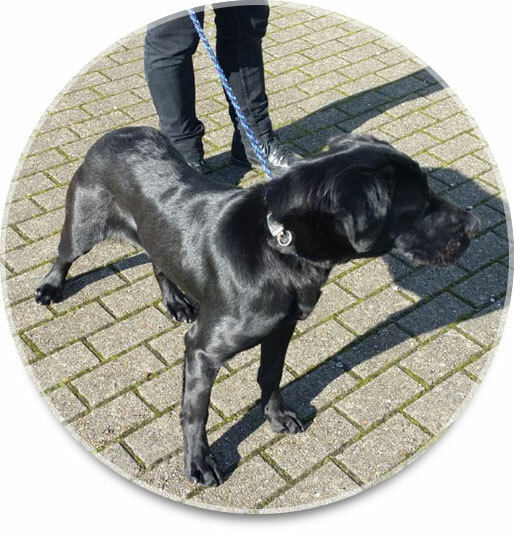 Price was £299 pounds they gave lots of information, photo updates, she travelled with a one year old Labrador and two drivers which removed the need for overnight hotel stop. They stopped for breaks every hour and the drivers were friendly dog lovers and professionals. Leaving London at 9:00am she arrived at 6:30am. The crates were large and clean and one of the drivers sits in the back of the van with the animals at all times... So I collected a happy little doggie. I realise it's often a challenge for us but if anyone is thinking about Easter holidays in the UK, they are taking bookings for April. When I had to bring my dog from the UK to the South of France, it was really worrying because I did not find the right solution and then a friend told me about easyPet! I was so lucky I had immediate response and from then on everything was so simple ! In particular thanks to Trudie who gave me an amazing service ! Everything was organized very fast and easily ! Therefore I felt I could really trust the company. The handover in London went also smoothly : the man who was in charge there was very nice and gentle with the dog, we felt he cared. The day after my dog arrived safe and sound in Monaco. He ran around happy and not at all traumatised! My husband and I relocated to Monaco in January and chose easyPet to transport our young dog Yuki from London. 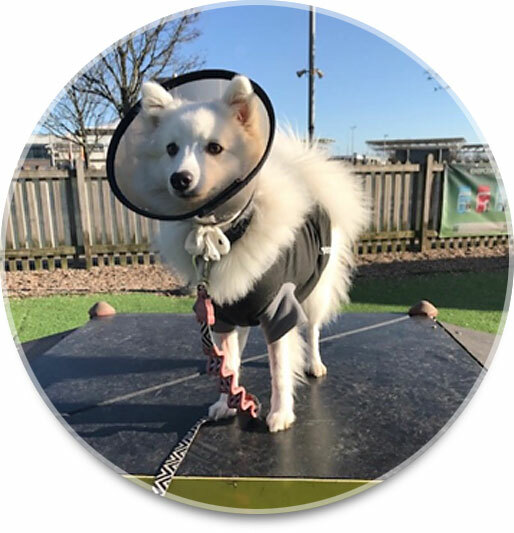 We couldn’t recommend easyPet more- the booking process, service, reliability, flexibility, professionalism, and, most importantly, care which Yuki received were all outstanding. Cheaper, easier and far less traumatic for Yuki than flying, the drive took 24 hours with two friendly and exceptionally professional couriers who stopped regularly for doggy walks and toilet breaks, and even sent me updates and photos along the route. Yuki was comfortable in her own bed with her own food and a little toy. Collecting her was equally straightforward and we all received a warm welcome at easyGroup’s office in Monaco. We would use the service again and again and are sure that it’s success will continue. All aboard ‘Le Shuttle’! Using easyPet was a joy! Not only did I have a specific contact at easyPet who answered questions quickly either on email or by the phone, they gave me all the info I needed to ensure that the process went smoothly. 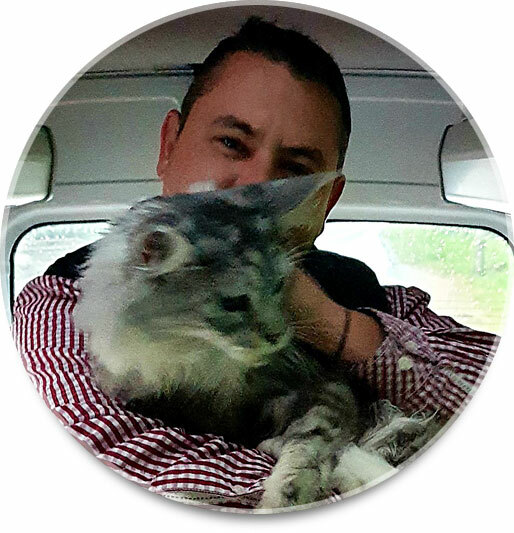 My cat was transported in a clean and friendly van from Monaco to London within 20 hours and I received updates from the driver every few hours on her progress, what she ate etc including pictures. This is the obvious and only way I'll be moving my cat around Europe in future. Thank you easyPet for a delightful and worry free experience! Fully insured and licensed vehicles providing pet transport between London and the South of France.